Remember how when she first took over as CEO of the computing giant Hewlett-Packard, Meg Whitman agreed to take a base salary of only $1 a year? That changed on Nov. 1, when the company’s board of directors voted to increase her base pay to $1.5 million per year, a new filing with the U.S. Securities and Exchange Commission says. The dollar-a-year figure was mostly meaningless in the first place as Whitman has also been compensated in large part with company shares. Last year she took home more than $15.3 million. Most of that was in the value of share grants and options worth about $13 million. Then there was a performance-based bonus worth $1.7 million. 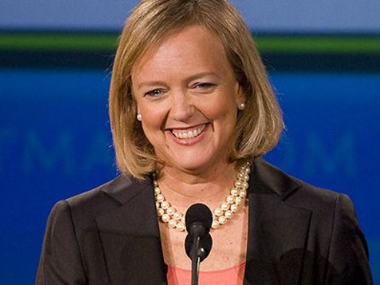 With HP’s shares up by more than 90 percent since the end of last year, Whitman is likely to do well in 2013, as well. We’ll know more about that when the proxy filing hits — which should be early in 2014.